Caroline Leaper is a London-based writer, editor and brand consultant and the Fashion Editor at The Telegraph. She is available for fashion and feature commissions, radio and television commentary, consultancy projects, commercial copy assignments and speaking events. Please contact carolineleaperfreelance@gmail.com. Please get in touch to see my portfolio of commercial work. Red carpet coverage, royal fashion coverage, trend reports, profiles of designers and fashion businesspeople, celebrity profiles, digital content and social media strategies for fashion brands. The Oscars, the Met Gala, royal weddings, bridal fashion, television and film costumes, runway shows, fashion tech, supermodels of all eras. 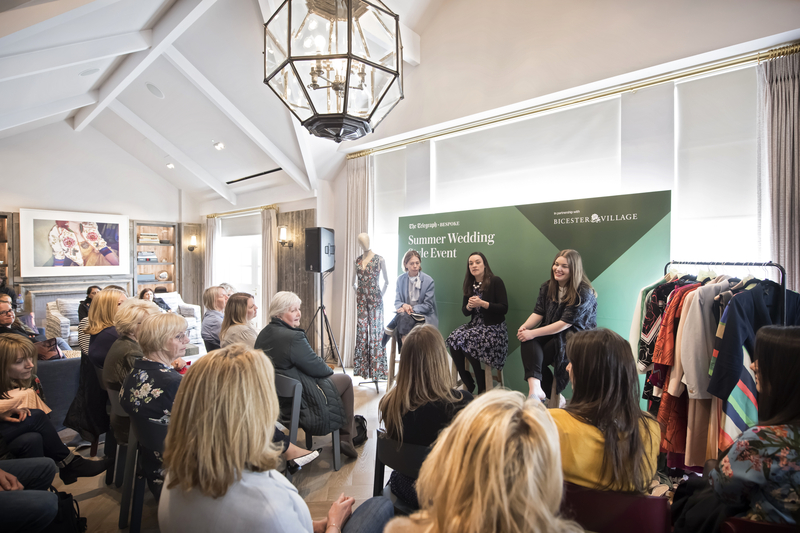 That’s me, on the right, on a wedding style panel at Bicester Village. *The rights to all pictures used on this site belong to the commissioning publications – samples are published for portfolio purposes only.